Today’s deals roundup includes a couple of headphones, few power banks, and some other electronic accessories. Today’s deals roundup is for those who are looking to buy products such as pen drives, power banks, earphones etc. We’ve put together a bunch of gadgets in this list which are available on Paytm at a discounted price. The Sennheiser CX 180 is a wired earphone which offers a glossy finish on the front. 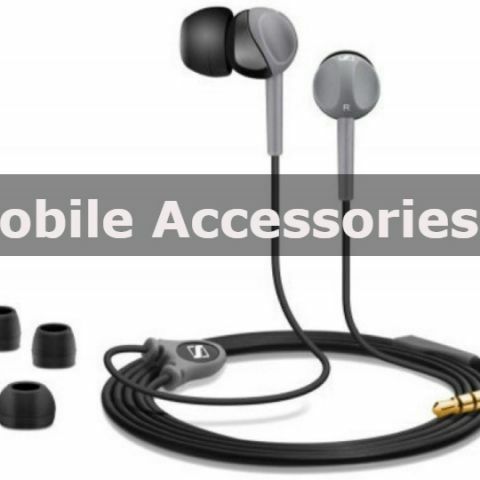 The earphone comes with ear adaptors of different sizes for custom fit. According to the company, it can minimize the outside ambient noise for a better listening experience. The device has received good response from customers on the web. You can purchase this device here. The SanDisk USB allows you to transfer or share files from OTG-enabled Android device to your laptop or PC. As per the company, it can transfer the data at the rate of 150MB/S. You can also download their app from the Play Store that lets you transfer the files of your internal memory to external memory automatically. Take a look at this device here. The Sony 5800mAh power bank can charge a wide range of devices such as a tablet, camera, headphone, speaker and more. As per the company, it can charge your smartphone upto 2 times. The device is equipped with a built-in safety feature that protects your power bank from short-circuiting and overheating. You can purchase this device here. The SanDisk Ultra microSDHC provides external storage to your device in which you can keep photos, videos, music and more. The SanDisk Ultra cards are shockproof, waterproof, x-ray proof, and temperature proof. Their app is available on play store, one can transfer the internal memory storage to the external card via app automatically. You can purchase this device here. The Philips SHE1455 comes with an in-line remote that allows you to pick up the calls and skip the track from your headset itself. It comes with 3 ear caps consisting of small to large size, letting the user pick a size they are most comfortable with. According to the company, the headphones are capable to reduce ambient noise You can purchase this device here. The Lenovo PB410 is a compact device which comes with overcharging protection. The device features four LEDs indicating the remaining charge. It can also be used to charge tablets, portable speakers, and tablets. You can purchase this device here. The Philips SPA comes with a clip on top that can be connected to your notebook, laptop or any smart device. The soundbar has two built-in speakers with one 3.5mm audio jack for AUX cables. As per the company, it is compatible with all operating systems such as Windows, iOS, and Android. Take a look at this device here.